Joe has been working at The Woodlands and Diamond Ridge since 2002. Joe Keenan started playing golf when he was 6 years old. Born and raised in Catonsville, Maryland, he learned the game while attending junior golf camps over the summer. Joe attended Catonsville H.S. where he was on the golf team for 4 years. 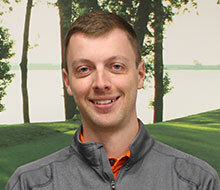 In 2002, he joined the team at Diamond Ridge and The Woodlands and was promoted to Assistant Golf Professional in 2007. For over 10 years, Joe has helped run the Junior Golf Program. In 2014, he was elected as a full PGA member after completing his schooling. Joe is excited to work with you on your game.